There are many communities and residential projects in Dubai and International City Dubai is one of them. The International City never fails to fascinate the tourists and visitors with its energy, optimism and a happening life style. The International City is composed of many clusters named after countries, i.e.., England, France, etc. Apart from world class facilities, there are also many popular restaurants in International City Dubai, which not only attracts the residents, but also the tourists. This American Country-style burger joint is situated in P-03 Building, France Cluster. The Hush Burger House comes with a motto in the statement “made today, gone tomorrow’, which makes it clear to its customers that everything that’s served is fresh from the market. Those who are fortunate enough to have tried this great fast food eatery, know that food here is not only finger-licking good, but also very economical. For instance, the cost for two would be 60 Dirham. Apart from the good food, the ambiance alone makes this International City Dubai restaurant so cozy and comfortable that customers often spend hours relaxing even after they have savored their meals. The free Wi-Fi service is a cherry on top! Found in the Greece Cluster, k12 building, Soy to Chutney is a yet another must-try Desi yet trendy restaurant in International City Dubai, that specialize in all kinds of culinary from India to China, and never fails to impress the customers with the best of their food. From Masala to Manchurian, this eatery is definitely the jewel in the International City You will find a small bell at the entrance, saying “Happy bell, Ring Me!” Everything from the interior, to the food and the service is going to amaze you about this Desi joint and will surely going to make you come back for more. The appetizers served with different sauces are complimentary and the all time available and dedicated waiters are a bonus. Apart from the appetizers and Entrée, the deserts are surely a hit. From Desi Carrot Halwa and Malai Kulfa to carrots topped with vanilla ice-cream are downright scrumptious. Café Aisha restaurant can be found in the International City’s England Cluster in Dubai. This neat and well-lit place has a very catchy décor is a great spot for snacking. Be it a mouthful dinner or a quick bite to kill the craving, Café Aisha is one of the best restaurants in International City Dubai, to satiate and satisfy your taste buds. The simple interior offers both the contemporary and traditional ways for devouring your meal make this place very comfortable and cozy for the customers. Nestled between the England Cluster, in Y18, the Pure Punjabi restaurant is a haven for Desi and typical Punjabi food. This is the right place to satisfy your cravings for Punjabi curry and spices in you are in the International City. With the interior inspired by Punjabi lifestyle, flashing lights, and Punjabi beats played in the background, you will feel like in a whole new place while in this restaurant. Pure Punjabi is especially known for the Amritsar Kulcha apart from other popular Punjabi dishes. 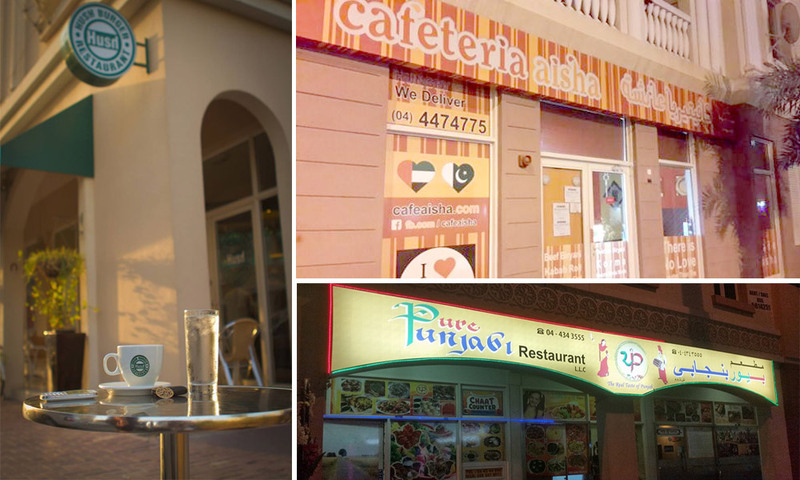 You can also try Punjabi food in some of the Pakistani restaurants in Dubai. Dubai is a food haven is known for being a home to one of the best restaurants in the world, while each international cuisine is categories in their own respective clusters; there is a Chinese Cluster too. And while these eateries are a dime a dozen in International City, there is one Chinese restaurant that wins among others, for its extensive menu, great taste, friendly and fast service and a catchy décor. This restaurant is called Home World. Address: C-09, China Cluster, International City, Dubai, UAE. These are some of the best restaurants in International City Dubai for foodies. If you have experienced above mentioned restaurants and would like to recommend one, please do so by adding comments below.